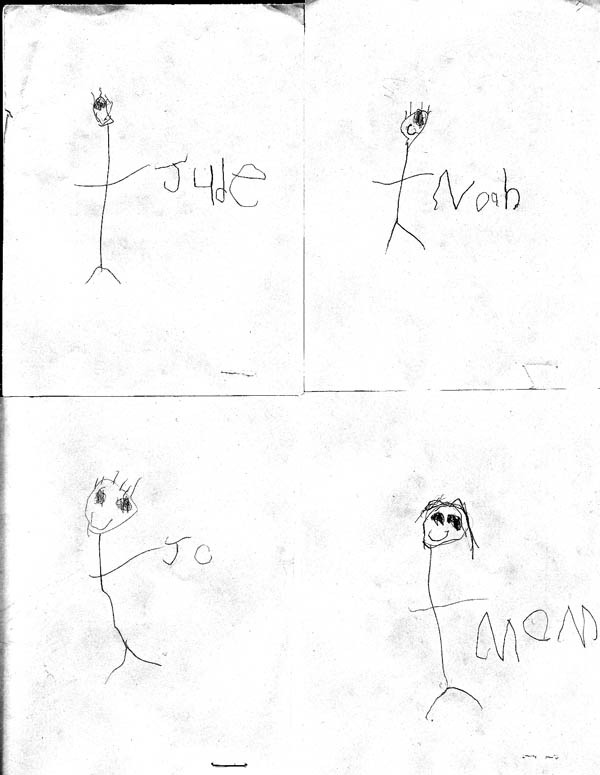 Noah is not really my artiste. He really prefers to not sit and draw, or even colour. That's why it always surprises me so much when he spontaneously comes out with something. 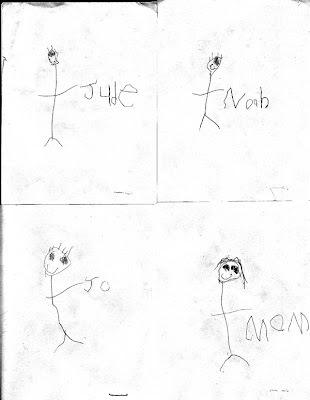 A few weeks ago, Noah drew these caricatures of our family (well, most of it) while in church. I think the guy on the bottom left is supposed to be Jabin. (The hair is pretty close, actually!) I think he must have run out of time to draw Jason, or something. Monet? Definitely not. Picasso? Closer. In one of Scott Adam's books, he described his artwork (on the Dilbert strip) as looking like it was drawn by a rabid squirrel on crack, or something along that lines.